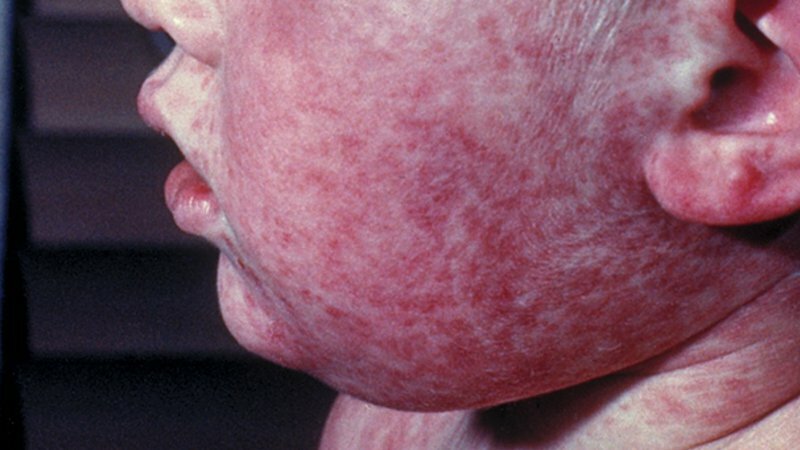 Vancouver is in the early throes of a measles outbreak — which is just dumb because a highly effective measles vaccine has been widely available for decades. As an anarchist I do not accept that the State (at any level) has the right to oblige parents to vaccinate their children. However, my kind of mutual aid anarchism does not mean a complete lack of rules. The sharing of scarce resources often requires some form of agreed reciprocity from all who gain from the sharing — an agreement to follow the rules of the club, if you like, as the cost of membership in the club. It follows from that that school boards, managing the distribution of education by school-board paid teachers and facilities, a scare resource, as delegates from the parents and children assembling, can set a rule insisting that children be vaccinated as a prerequisite to delivery of the resource. They can set such a rule and they should do so for the protection of the community as a whole. Parents who choose not to follow the rule should be left to make their own arrangements for the education of their children. 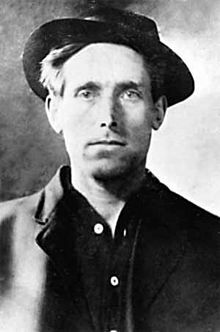 Today is the 103rd anniversary of the murder by the state of the great Wobbly songwriter and martyr Joe Hill. A minute’s silence, and then back to the important work that still remains unfinished. Today is the anniversary of the births of two of my primary political influences and allegiances. 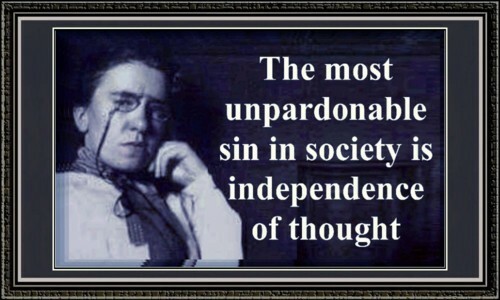 On this day in 1869, Emma Goldman was born in Lithuania. She lived an ardently revolutionary life until her death in Toronto in 1940. Her autobiography Living My Life (1931) is a constant inspiration, as was so much of her extraordinary output. 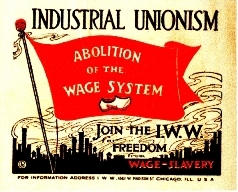 On Goldman’s 36th birthday in 1905, the Industrial Workers of the World (IWW) was formed in Chicago. They engaged in revolutionary industrial unionism, promoting worker solidarity in the struggle to overthrow the employing class. They believed in workshop democracy and full worker control. I thought that a revisit of my 2013 review of “The Swerve: How The World Became Modern” by Stephen Greenblatt, the John Cogan University Professor of the Humanities at Harvard would be an interesting read for a rainy Sunday. “The Swerve” tells the story of the re-discovery in 1417 of a long poem in Latin by Lucretius called “On The Nature of Things” which, the author claims, led to a flowering of the humanist movement, to a modern scientific view of reality, and to the disintegration of (or at least a serious challenge to) the accepted world view of the Catholic Church. Enormous claims, and the author does a fine job of defending them. Lucretius’ poem is a discourse on the philosophy promulgated by Epicurus (341-270 BCE), that life should be led without any fear of death, that the pursuit of personal well-being should be the prime motivator of one’s existence, and that all life and all things are composed of “atoms” that collide and coalesce and then disaggregate once again upon death. The Epicurean belief that there is no creation, the universe is eternal, that death is the final end, that there is no afterlife would prove to be a major challenge for the Church, a challenge they met with both cruelty and disdain. 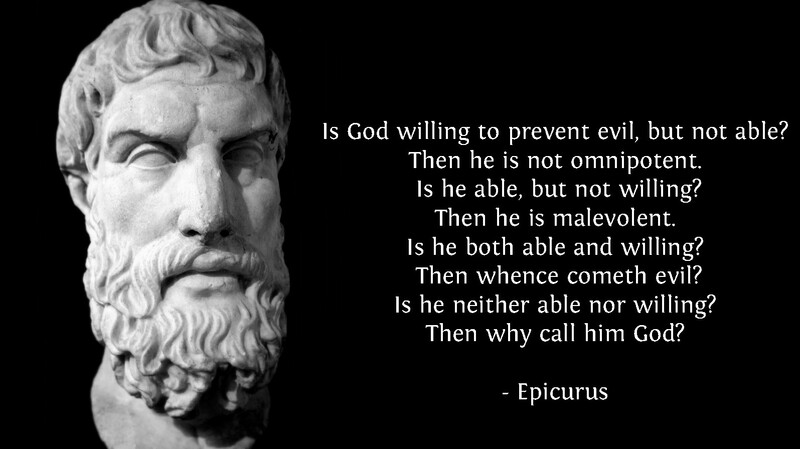 It is from their deliberate twisting of these teachings that most people today consider Epicureanism to be a form of gluttony and greed and little more. The first half of the book gives an excellent background to the Europe of the late medieval period, discusses the growth of humanism through the re-discovery of Latin and Greek texts, and follows the life of Poggio Bracciolini, a Papal secretary who found, copied and circulated a manuscript of Lucretius’ De rerum natura. The book then travels forward through history to show the extent of the poem’s influence. Early humanists, such as Giordana Bruno, were burnt at the stake for preaching its beliefs. Thomas More wrote Utopia as a direct attack on Lucretian Epicureanism, while Lucretius was the direct inspiration of Botticelli’s Primavera. Montaigne’s Essays are infused with epicureanism, and Shakespeare’s Romeo and Juliet is a materialist masterpiece, even mentioning “little atomi” in its description of Queen Mab. Gallileo was clearly influenced by the poem,and the Puritan Lucy Hutchinson wrote an early English translation. Perhaps the most famous political influence was in the work of Thomas Jefferson, a self-confessed Epicurean, who added “…the pursuit of happiness” as one of the three inalienable rights of all people. This was a fascinating read. Last night we attended a session called “Making Space For Citizens To Act on The Issues That Matter Most” at the Wosk Centre. There were about 50 people in attendance, perhaps half of them from governments of various levels; none, unsurprisingly, from City of Vancouver. The purpose of the gathering was to discuss ways in which governments and citizens can work more closely together “to co-create solutions” to the difficult problems of city-making. The main speaker was Valerie Lammie, director of exploratory research at the Kettering Foundation, who has been city manager in Dayton and Cincinnati. She immediately noted a structural flaw in the current profession of city management; that city managers’ contracts rarely if ever encourage or incentivize work with citizens, and that citizens are these days generally considered to be consumers or clients rather than partners. This view tends to accentuate a mistrust between politicians/civil servants and the community. I was unsure of what she was suggesting to solve this lack of cooperation. She showed a cartoon from England in which “squares” [government?] and “blobs” [citizens?] failed to cooperate until, perhaps, the “blobs” became more like small “squares”. It didn’t seem to suggest any obvious (or good) solutions to me. The speaker asked us speak about “cooperation strategies” that had recently worked for us. A small number of “successes” were raised including — as the comedy portion of the night — someone suggesting that the Grandview-Woodland Citizens’ Assembly was the greatest thing since sliced bread. Not an opinion I share. See also. The speaker also talked about elected/appointed citizen or neighbourhood councils and similar bodies that have been used in various cities to close the engagement gap. She was thoroughly opposed to them, claiming they “didn’t work”, mainly because, she said, over time they became mini-governments with their own engagement issues. I disagree. There are neighbourhood councils in Portland, Edmonton, and other places that seem to work, and I would still like to try it here in Vancouver. Issues of rigidity and institutionalism can be overcome by the methods of selection at the neighbourhood level, annual turnover of membership, etc. It is worth trying. At the end of the meeting, we were asked to discuss impediments to community engagement. 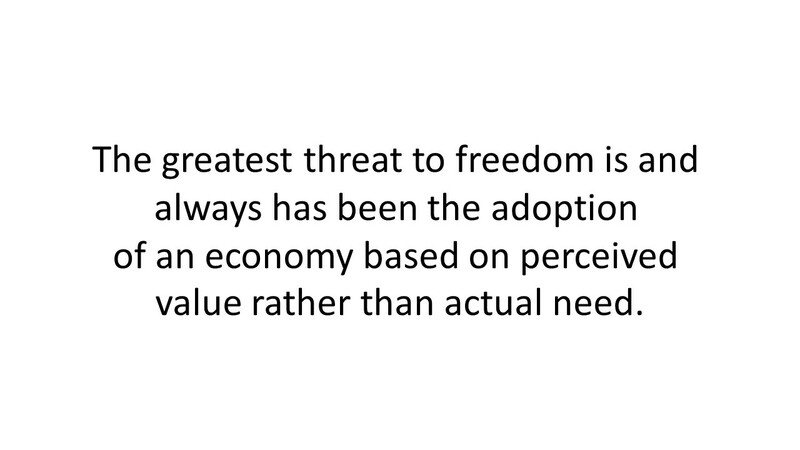 This gave me the opportunity to re-state my position that governments are becoming too big and too far removed from the individual citizen. I noted that we used to have wards but now have a city-wide at-large system. On top of this we have Metro Vancouver, Translink, and other regional bodies none of which are elected. At each stage, power moves inexorably up to the top of the hierarchy, and ever further from the citizen. My position was, and is, that useful community engagement is almost impossible until power is returned to the neighbourhoods and the citizen. All in all, I was glad to have gone to the meeting though I have few illusions that it will bring forth any solutions. I have been a political animal all my life, mostly as an anarchist, and as such I have read a great deal of political and philosophical literature. Much of this literature would be on what many would consider the extreme ends of politics and philosophy, including the work of nihilists who would see the destruction of all organisational principle. But there is a philosophy that believes that even nihilists don’t go far enough. “While good people go to great lengths to spare their children from suffering, few of them seem to notice that the one (and only) guaranteed way to prevent all the suffering of their children is not to bring those children into existence in the first place.” In Benatar’s view, reproducing is intrinsically cruel and irresponsible—not just because a horrible fate can befall anyone, but because life itself is “permeated by badness.” In part for this reason, he thinks that the world would be a better place if sentient life disappeared altogether. Benatar is no dummy. He is head of the philosophy department at the University of Cape Town, where he also directs the university’s Bioethics Centre, which was founded by his father, Solomon Benatar, a global-health expert. He disagrees with the viewpoint that life is good, that the benefits outweigh the problems. I definitely cannot agree with Benatar on a lot of this. But the piece is a fascinating look at how one highly intelligent human being looks at the world and our place in it. You are currently browsing the archives for the Philosophy & Politics category.